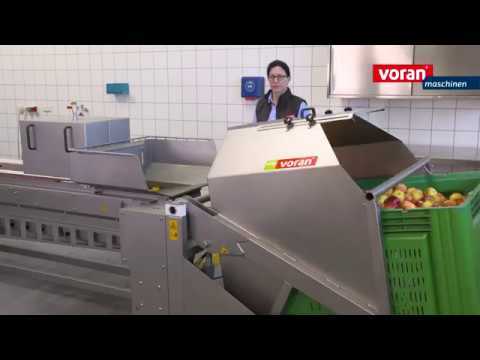 The Cleaning and sorting table is a combination device for cleaning and manual sorting of your fruit and vegetables. Cleaning takes place with the help of water spriklers and brushes from three sides. During the brushing process, the fruit can be sorted out manually by one or more people in the back area. contact time 5 - 50 sec.